Sony Computer Entertainment CEO Kaz Hirai says the 3D technology at work in current handheld gaming devices suffers from too many limitations and that Sony is more interested in "getting it right" than simply being first. The advent of the third dimension has added an interesting twist to the console wars. 3D could be a big weapon in the race to avoid losing but each of the three console manufacturers has taken an entirely different approach to it. Sony has hitched its wagon to the new generation of 3D televisions, Nintendo is focusing on a "no glasses" solution for handheld gaming and Microsoft thinks that for now, at least, it's all a bunch of crap. Such divergent approaches can only mean one thing: It's time to start trash-talking the competition. "Based off internally conducted research, naked-eye 3D for portables does not have high precision, and at present there are limitations," Hirai told Japanese publication Sankei Biz (via Andriasang), although he avoided mentioning Nintendo's new handheld 3DS by name. He made similar comments in an interview with the Financial Times, suggesting that Sony is in no rush to come up with a 3D handheld of its own. "We want to make sure we get it right as opposed to being there first and - with portables - there's still a lot of tweaking that needs to happen from a research and development perspective," he said. "We've looked at a lot of the current technologies available and all of them have an issue of perception where you have to hold the console in exactly the right place to get the 3D effect and it's a bit of a challenge to maintain that 3D experience." 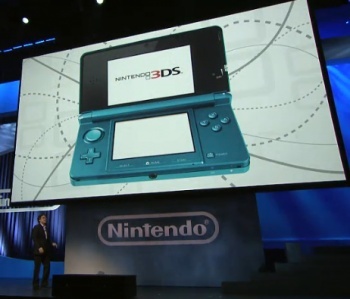 True that may be, but the 3DS nonetheless made a big splash at E3 last week, with one attendee saying it could very well be "the future of handhelds, if not 3D gaming as a whole." That's pretty high praise, and as the PlayStation 3 itself proved, having the best technology isn't always enough.